Allure Beauty Box November SPOILER #6 + $5 Coupon! We have the latest spoiler for the November Allure Beauty Box just for MSA readers! What do you think of the latest spoiler? Get ready for an at-home spa day in November’s Beauty Box—just in time for the holidays. Inside, you’ll find our favorite masks from Glamglow, Lapcos, Star Skin, Glow Recipe and more. We are SO excited to reveal our next collaboration (and even more excited to tell you what’s inside!) but trust us—it’s worth the wait. Amanda, they are pretty inconsistent with their shipping. If you don’t have a notification by now, you should be getting one real soon. I got my notification on Saturday and I think I’ll be recieving my box today or tomorrow. Mine usually does arrive around the 20th, but it’s been later a couple times. It’s annoying that they ship so late in the month, but it’s worth the wait. I hope you get your box soon! If I could skip a month, this would be it. I like a mask in the box, but not the whole box. Why don’t you just cancel, then sign back up next month? I did that for a month, signed back up through Amazon (which is super easy to cancel and restart) and I even get my boxes earlier. It’s super easy. I don’t like a lot of masks, because to me their cheap, and its something you can buy at Walmart…so, I love allure, but this November box I don’t like at all….please no more masks..
Allure is the best! It’s exactly what I look for in a subscription and the products are almost always stuff I would repurchase. I really enjoy using the products they send. 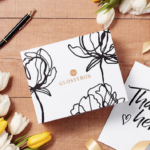 For me, a skincare fanatic, you just can’t beat this box at the $15 price. When they do include make-up, it’s always great brands that I get excited to try. I would seriously cry if I had to let this sub go. I’m definitely here to stay! I wholeheartedly agree. I am never disappointed in my boxes. Love the various selections they make. Never too many too often liquid eyeliners or junk mascaras. I typically use everything with the exception of a few brands my skin won’t tolerate. This sub is amazing. Can’t wait to see December’s box. This is the first sub I started with when it was sample society. That’s my story and and I’m sticking to it. foot sock treatment last month and it did a great job, but It missed some areas, now I can try another brand. Looks like the worst allue box ever. And there has been some bad ones this year. I’ve got so many mask, eye patches, sheet masks, mud masks, orange masks, cucumber masks you name it, and kinda disappointed because allure is supposed to higher end on trend..i don’t mind one mask in a box, but to a while mask of them not so much. They could have done makeup fall looks ie: nail polish, eyeshadow pallette, fuzzy socks, good moisturizer, perfume, lip balm and so on. I’ve only liked 2 boxes they’ve had this year since getting the new lady to take over the samples. But I can’t cancel because I’m loyal, so is. Might have to see how this goes and cancel next year if they are still a bad match. The last two months were perfect boxes out of the whole year…so idk might look for something comparable to this, even if it’s more money..thay caution or whatever box seems interesting and I broke down and signed up for can for fun for the fall and next winter I believe. Hope it’s a fun one. Seems like a pretty unpopular opinion haha. I think this is a great idea, and they’ve done a great job of picking some really nice masks from different categories. I don’t have overflowing drawers of masks, so I am really excited for this box. And I can never have too many invisibobbles. Hope they are the gold ones in the picture! I agree Amber. I love this box and Allure. They send such good skincare and it’s so important. I personally get more disappointed in the make-up heavy boxes, but they still have great products and I just trade what I won’t use. Allure sends cult favorites and proven products. It’s all great quality. I don’t understand, if you’ve never liked a certain subscription, why would you feel the need to stay loyal? Like cancel it already and stop complaining. This is aaaammaaazing! I’ll give the glamglow mask away because I know it hurts my skin but still! Just a really great box. Nice job Allure. I am definitely looking forward to this box! Definitely mask month! Love undereye masks! I am so happy with these spoilers! And I noticed there is still one that hasn’t been confirmed, but was a spoiler for months now! The Pearl Brightening mask. So, Allure is killing it for next month and for this months box for that matter. I would never cancel or get rid of this sub, and I can’t wait until next month so we can start to get some spoilers on the special collaboration box for December! Now we’re just missing a hand mask and we’re all set! What a perfect month to treat oneself in anticipation to the hectics of holidays ahead! Not likely we’ll get 8 items, but still hoping for a hand mask and hair mask! Allure has seriously been stepping it up. I will use everything in this box. I like that it can all work for anyone. I have to say they are doing well. I was least excited about this box and I was worried it would be a bunch of sheet masks but they’ve managed to do this without replicating any one type of product which is impressive. Still not my cup of tea, but I recognize that it’s a good box even if it’s not my favorite.